When people think of shoegaze, they often think of My Bloody Valentine, and for good reason: they’re possibly the finest example of the genre there is. 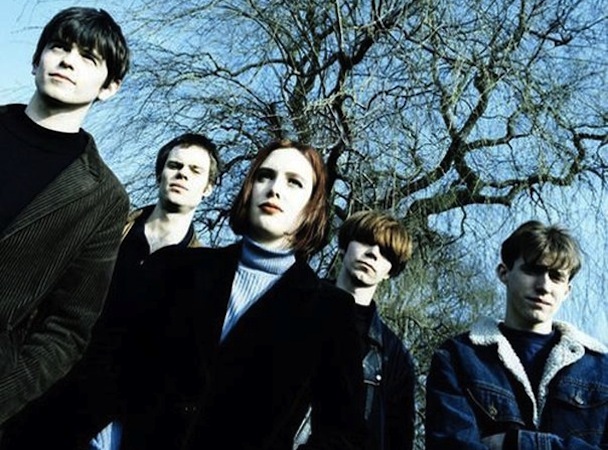 But, when they aren’t thinking of MBV, they’re likely thinking of the band’s Creation Records labelmates Slowdive. The Reading band were the dreamlike, ambient, almost poppy answer to MBV’s sometimes brutal soundscapes, existing for a very short, very pristine six-year span in the late 80s/early 90s, just long enough to release three records – 1991’s Just For A Day, 1993’s Souvlaki (the band’s masterwork), and 1995’s Pygmalion – before stepping down from the stage one day, never to return. But, in early 2014, that changed. The band had gotten back together, ready to perform to rabid, almost religiously devoted fans all over the place, who have been hanging on every syllable that Neil Halstead and Rachel Goswell produced 20 years ago. Slowdive are currently in the middle of a delightfully long tour across North America and Europe, and this autumn sees the band stopping by the Crystal Ballroom on November 5th, with support by Duluth, MN slowcore giants Low, one of the few bands that manages to capture the same essence that Slowdive did all those years ago. If you’re a fan of rolling sonic landscapes, dreamy vocals, and the feeling of heavy eyelids, this is without a doubt the best way to help you prepare for winter in the Northwest. You can click right here to head over to the Crystal Ballroom page to read more about the show and buy tickets. You can also continue below to have a look at the rest of the band’s upcoming tour dates.